A mum-of-seven pregnant with twins described living in a four-bedroom council flat as "hell" and has pleaded to be rehoused . 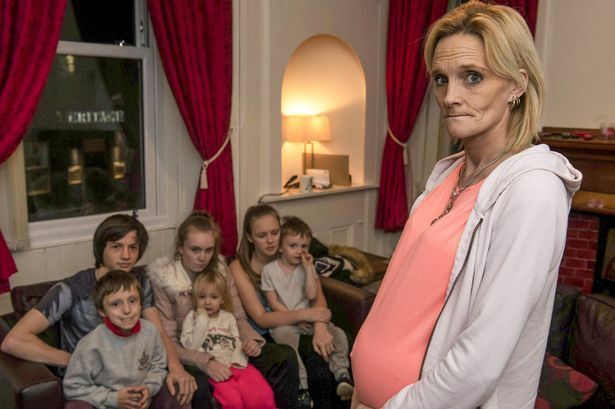 Alana Burns, who is due to give birth in March, has crammed her kids Alisha, two, Steven, four, Cayden, seven, Leigh, 15, and Caitlin, 16, as well as adult children Stewart, 20, and Bryan, 19, in the flat above a pub. The family has squeezed into three of the four bedrooms as the fourth is uninhabitable due to a leak. Ms Burns said: "My relationship with some of my children is at breaking point. We can't keep living like this. "I just want to get out of this hell. I'd rather live anywhere else, as long as it is not in here. It has been really tough. "The council has been out to the leak and said they'd get in touch with me, I have heard nothing." The family was living in a private let in nearby Livingston until her landlord decided to sell the property in August. They spent a month in hotels before West Lothian Council found the Bathgate flat in September. But Ms Burns added: "I'm feeling down every night and sometimes you just feel like giving up. But I just have to keep going for the sake of the kids. "It is not safe for anyone to be sleeping in that room so we're now down to eight people sharing three bedrooms which is ridiculous." Ms Burns says the flat, which does not have a television or room outside in which her children can play, also has uneven flooring, damaged ceilings, noisy neighbours and is not receiving post. She is having to pay out £30 a day on electricity and claims a third party is using her supply. The mother continued: "We all have to wake up at 6.30am and a taxi picks the kids up at 7.30am to take them to school in Livingston. 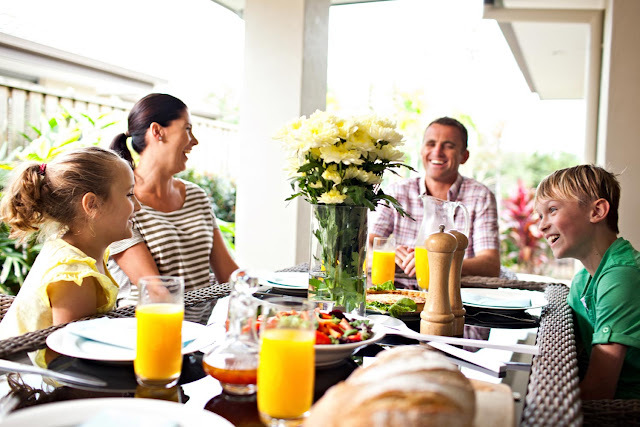 "I need a proper house where I can bring up my children. The whole situation is unbelievable. "My kids can't go out to play here. "The road in front is busy and there is a car park at the back of the property so it isn't safe. "All the kids are stuck inside all night crammed in without any TV. "There is no way we're using anywhere near that level of electricity. We wouldn't be here if we had a choice but we need to now get out as soon as possible." A West Lothian Council spokesman said: "It can be challenging to find suitable accommodation for large families who present themselves as homeless, given the limited stock of larger homes available. "In this case, the council arranged for temporary accommodation from a private landlord to try and meet their housing needs until a permanent home could be found. "Previous repairs notified by Ms Burns have been fixed by the landlord. The leak was only notified to us on November 12, with a repair to be arranged soon. "We would encourage Ms Burns to engage with the offers of support already made, to allow us to help find a solution for her family's housing needs.